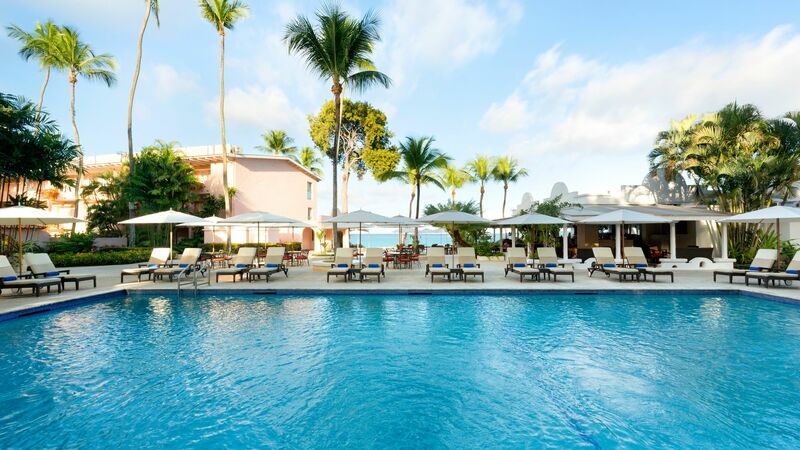 Besides the charm of gently swaying palm trees, the powdery white sands of Barbados and the Caribbean’s turquoise waters, the Fairmont Royal Pavilion in Holetown, St. James sweeps guests off their feet as the only luxury hotel on the Platinum Coast offering direct access to the beach. This well established, newly renovated five-star hotel offers elegant villas which are set within an 11-acre estate. Here you’ll find wonderfully appointed, ocean-facing rooms and suites, various dining options, outdoor tennis courts, a 24-hour fitness centre, and more. Complimentary, non-motorised water sports equipment is also available, as well as a fantastic range of facilities for everyone. Couples, families, solo travellers, and groups can all look forward to experiencing the cultural spirit and cuisine of the island in serene surroundings, perfectly complemented by a fusion of contemporary accents and old-world Moorish architecture. A range of hotel child prices applies to ages 0–5, 6–12 and 13–17 years. 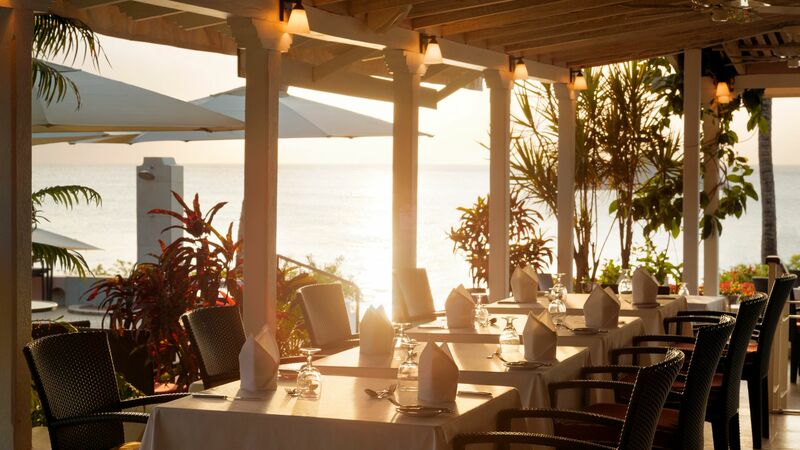 Tuck into delicious buffet or à la carte meals in this relaxing open air restaurant where you’ll be treated to panoramic ocean views, live entertainment and complimentary afternoon tea. Reservations are recommended. The dress code is casual. Beach cover ups are required for ladies and shirts are required for gentlemen. 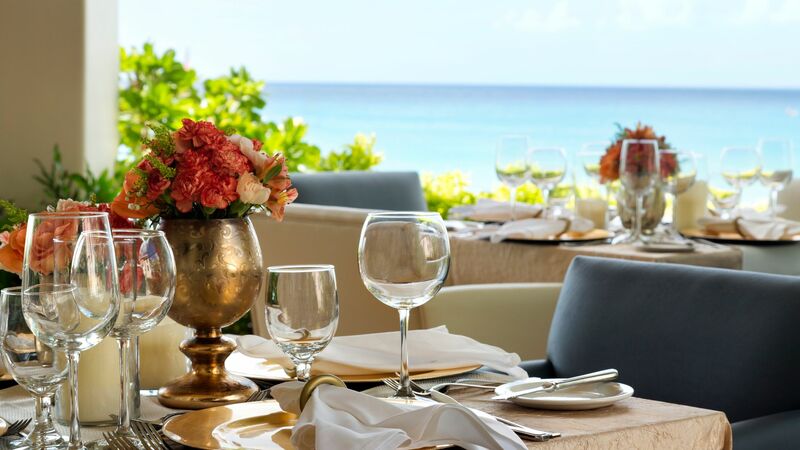 Ideal for intimate canapé and cocktail occasions, this open air restaurant on the beach effortlessly combines the rich flavours of international and Caribbean cuisine with the refreshing ocean breeze. Open: Times are subject to change and depend on hotel occupancy. Reservations are recommended for dinner. The dress code is elegant, with collared shirts and long trousers required for gentlemen. 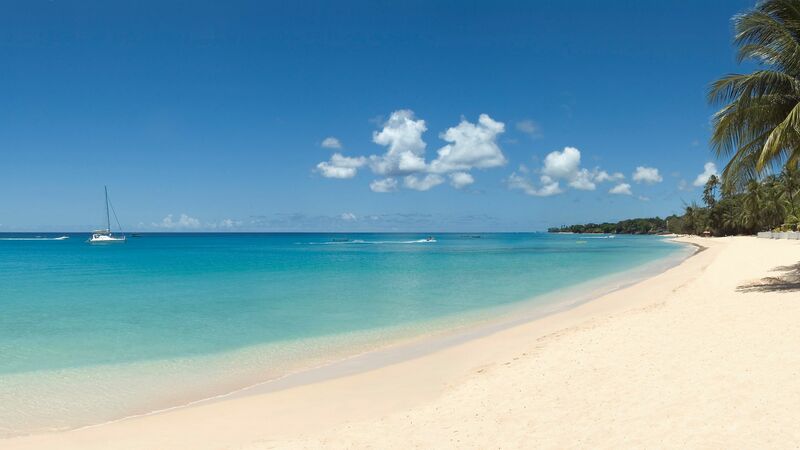 Experience the essence of Barbados by soaking up the sun and keeping everyone active with water sports for all ages. This 1-kilometre stretch of beach also boasts a Beach Club. Mornings spent in the turquoise waters of the Caribbean are perfectly complemented by lazy afternoons spent in the outdoor freshwater swimming pool or heated jacuzzi which seats eight guests. Children can look forward to fun filled activities hosted and supervised by the Fairmont Royal Pavillion’s experienced staff. For the hotel's youngest guests, professional babysitting services may be arranged at an additional charge. 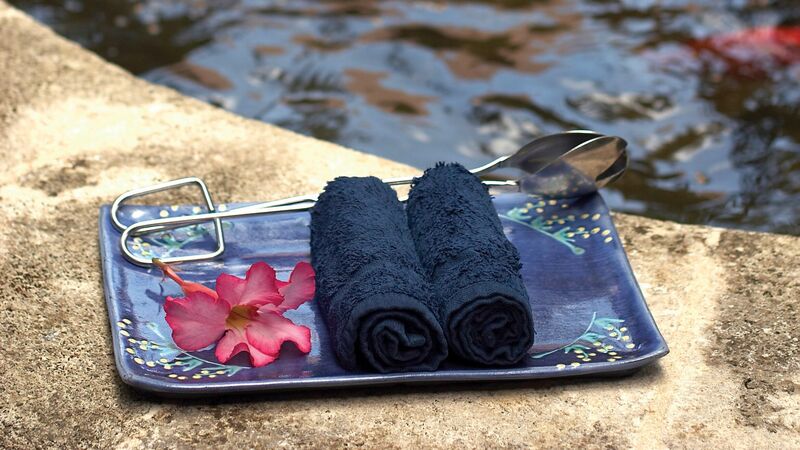 Choose from a range of relaxing massage treatments which can be enjoyed in the comfort of your luxury room or suite, or release endorphins in the hotel’s well equipped, 24-hour fitness centre. Make memories in the exhilarating tropics with a daily swim with turtles, kayaking, snorkelling, sailing, windsurfing and stand up paddle boards. The use of non motorised water sports equipment is complimentary. 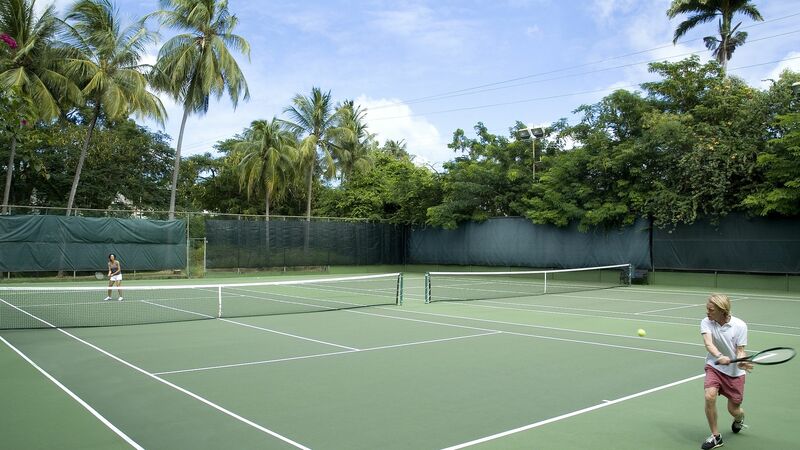 Before taking a dip in the ocean or swimming pool, work up a sweat on either of the two floodlit tennis courts, where a professional is on hand for assistance. The dress code for playing is tennis shoes and sports apparel. You are welcome to enjoy complimentary use of rackets and balls. Barbados is a sought-after location for island getaways, but the coastline of St. James is a Caribbean treasure in itself. Situated along the Platinum Coast, this destination invites couples, families, groups, and solo travellers alike with attractions, such as St. James Parish Church and Folkestone Marine Park. 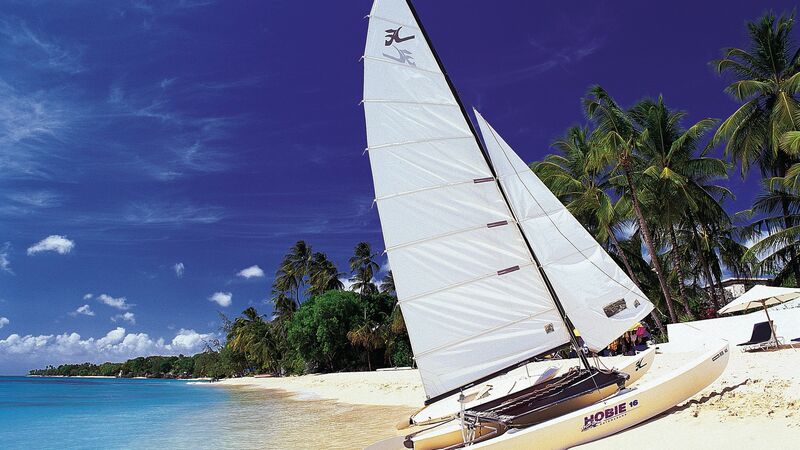 Keep your whole party having fun with a variety of water sports in the turquoise waters of the tropics. You can make your way to Bridgetown for cultural shopping in Broad Street, and to the 6-acre Andromeda Botanical Gardens in St. Joseph. For unforgettable golfing experiences, take a trip to Apes Hill, Royal Westmoreland and Bellevue Polo Club to play a few rounds in exquisite surroundings. Ocean Front Deluxe Rooms have an ocean front location. Beautifully furnished, they feature a king-size bed (an additional bed can be added on request), air conditioning, satellite TV, DVD/CD player, internet access, safe, iron & ironing board, tea & coffee making facilities, bathtub, shower, bathrobes, hairdryer and a glass-fronted balcony. Beachfront Junior Suites offer upgraded amenities, such as butler service, evening canapés and upgraded furniture, fixtures and fittings. These suites are located on the ground floor and feature a furnished wooden deck. Extra beds can be requested in this room to accommodate up to three adults or two adults and two children. Signature Sea View King Rooms are located just 100 metres from the beach and feature luxurious extras including a dressing area, spacious bathroom and furnished balcony while being elegantly appointed and spacious. Two Bedroom Villa Suites have two en-suite bedrooms, living room and dining area, and have a stylish and comfortable retreat for four people. Exclusive benefits to guests of the villas include fast track airport arrival service, butler service and daily evening canapés. Three Bedroom Sea View Villas are located within the lush tropical gardens, just 100 metres from the sea and benefit from outstanding views of the Caribbean Sea from the balconies. Spread out over 166m² the villa offers a spacious living area with both lounge and dining areas, two bedrooms and bathrooms on the ground level with a staircase up to the master bedroom and en-suite. Exclusive benefits to guests of the villas include fast track airport arrival service, butler service and daily evening canapés. We joined an old friend here for lunch and they had a buffet on which we didn?? ?t fancy. The A-la-Carte menu didn?? ?t have much to offer for us pescatarians so we ordered fish and chips! The mahi mahi arrived and looked like a couple of pieces of leather. We switched it up for fish off the grill in the buffet which was much better but they didn?? ?t even garish our grilled fish and chips with a piece of salad or anything. The drinks were hotel expensive and the whole bill was astronomical for what we ate and drank. Then to add insult to injury after dropping $300 they wouldn?? ?t let us use the beach chairs!! Not impressed. Wonderful hotel with lovely, attentive staff and a high quality of food. The location is first class and the beach is just sublime. Being close to Holetown there is a vast array of extremely good restaurants within a short walk or short taxi ride. I would recommend Lone Star, Nishi, Tides, The Cliff and Cin Cin By The Sea. All are just excellent, however make sure you book as they are very busy even on a Monday night ! My husband and I stayed here for our honeymoon. We absolutely loved the hotel and it was made even more special because of the kind and caring staff who went over and above to make our stay so amazing!! Michael by the pool checked in with us each day and made us feel so welcome. We would love to visit again! Highly recommend! !